TP-link Deco M5 is a WiFi router available in 2017 and now is well-known in many countries. The highlight of TP-Link Deco M5 is that WiFi mesh system which provides WiFi throughout the house, at high speed and without interruption. 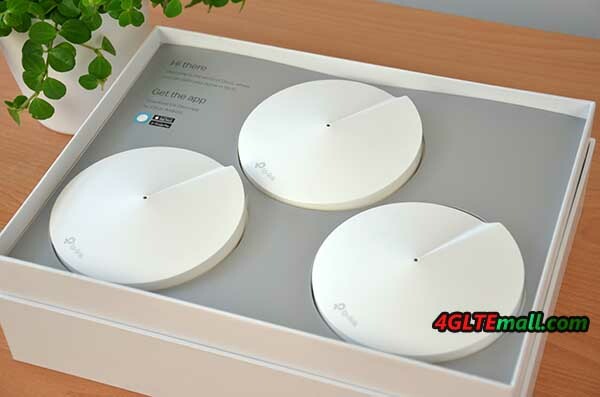 With the arrival of the new WiFi mesh routers, it is finally easy to realize a good WiFi connection in every nook and cranny of the house without pulling wires. These new WiFi mesh systems work as follows; Each WiFi point is connected to the other units via a mutual wireless connection. Each device has a separate WiFi transmitter that is used purely for mutual communication between these units. WiFi devices such as your smartphone and tablets are connected to the network via a private WiFi transmitter in the unit. The big advantage is that the available bandwidth of such a WiFi point does not have to be shared between for example your tablet and the mutual communication between the different WiFi points. The main advantage, of course, is that you do not have to pull any wires. For example, you put a unit in the living room, a unit on the first floor in a bedroom and the third unit in the attic. These three units form one large WiFi network together. An additional advantage of these WiFi mesh systems is that they ensure that connected equipment is always automatically connected to the best available transmitter. They also call this technology “WiFi roaming”. Suppose you have a station on each floor and walk from the attic to the ground floor with your tablet while watching a movie, then the system will automatically and without interruptions transfer the signal to the wifi point with the best connection. The Deco M5 system comes with 3 separate mesh routers that are identical so it does not matter which unit you will use as the main unit. In addition to the routers, there are 3 power adapters and a LAN cable. 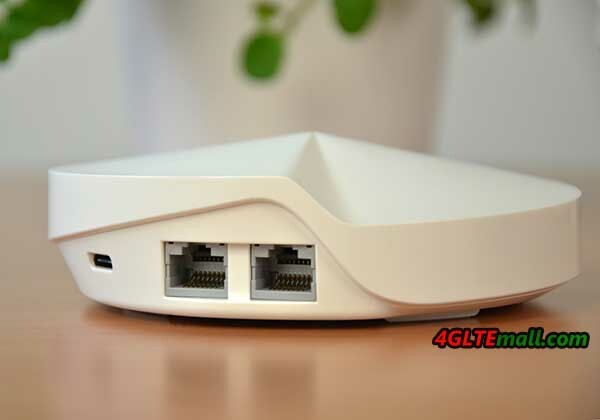 You connect 1 of the units to the LAN port of the modem/router, then download the free app on your smartphone and start the installation. The installation is really very simple and within 5 minutes the system is installed. You will first have to create a TP-Link cloud account by choosing an e-mail address and password. Next you will be asked to enable your location data and bluetooth on the smartphone. After logging in you can start the installation. The TP-Link Deco M5 is installed via bluetooth and during the configuration, you will have to stand next to each unit with the smartphone to install the unit. After that, the entire system can be centrally controlled from the app. After starting the app, it will automatically find the deco nearby and will first be asked to choose a name and password for your wireless network. After filling in a network name and password, you will be asked where the Deco unit is located. So you can easily indicate in which room of the house the unit is located to get a clear overview of the network later. After choosing, the Deco will be configured and the LED will turn blue when it is ready for use. In principle, the system can already be used, but we repeat this step two more times to install the two other units. The app also asks you if you are ready or want to add another unit at that moment. To configure the other two units, you have to stand in the vicinity of the units as the installation works via bluetooth and can therefore only be done at a short distance. When you have finished configuring the units, the network is ready for use. The whole process takes at most 5 minutes! When the installation is complete you can further configure the system via the TP-Link App if desired. The Deco M5 system has a lot of nice options. The home screen shows immediately which Deco M5 units are connected and what the last measured internet speed is. You can also see directly in this screen which devices are all connected to the system. If you click on the device, you will receive more details about the device and you can add it to a group. Such a group is useful because you can deny these groups WiFi access at certain times and filter description. This is useful for families with small children. This division into groups is relatively easy by giving a name to the group and then choosing to what level the group belongs. This way you can choose a group for small children or adults or create your own group. It is possible to block certain websites or description and thus you have full control over what users see. You can then only access these groups at certain times to the internet. If you do not want the children to be on the Internet after 8 hours, except on weekends, you can easily arrange this. Through the app you can throw a WiFi guest network in the air with a few taps on the screen. This guest network is separate from the rest of the network and can be provided with its own network name and password. Of course you can also manage the connected devices with a WiFi scheme and description filtering. This way you can give visitors access to your internet connection, but you have complete control over what they view and when. Unique to the TP-Link Deco M5 is that there is Anti-Virus software from Trend Micro. This actively monitors the network for viruses and protects all equipment before the malicious software can be installed. 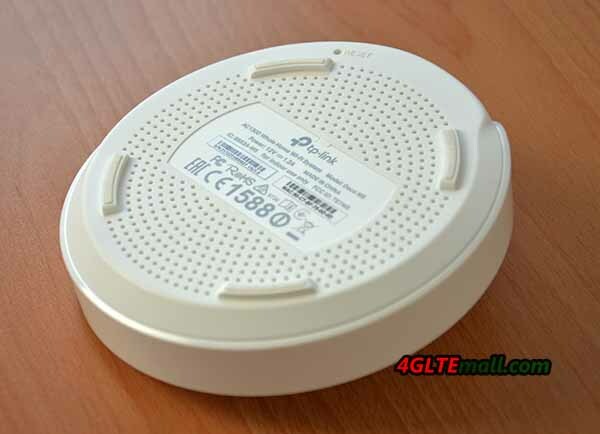 With the QoS function in the TP-Link Deco M5, you can easily give priority to certain data. So you can choose that gaming gets more priority compared to chatting and surfing, or vice versa. You can also set the QoS settings yourself if you do not want to use the preconfigured priority list. With the help of handy sliders, you can screw the level up or down per part. The TP-Link Deco M5 is therefore easy to configure and has some nice options in the app, but the most important of these are the performance of the system. 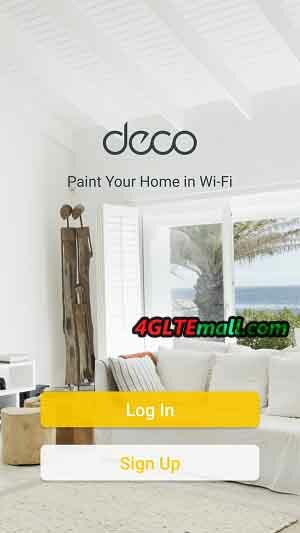 We are very pleased with the results of the Deco M5, we get the maximum out of my 300 Mbps through wired connection and wirelessly we also achieved almost the full speed. This speed is really more than enough to stream movies from Netflix, for example, even in 4K resolution. Even wireless gaming should not be a problem with this performance. The Deco M5 is a bit slower with roaming. If you walk between the different points, switching between the wifi points can take a little longer than with Amplify. But then we are really talking about a difference of no more than 10%. No disadvantage for our test, but for some users maybe: you have to create a TP-Link cloud account at the beginning and turn on your GPS location. If you are very fond of your privacy/anonymity, you may not like this. The app is sometimes not entirely translated in some languages. There are some English texts hidden here and there, but that will not influence for normal use. Anti-Virus software is built in which is very nice to protect your equipment. Another great advantage is the price of this set. 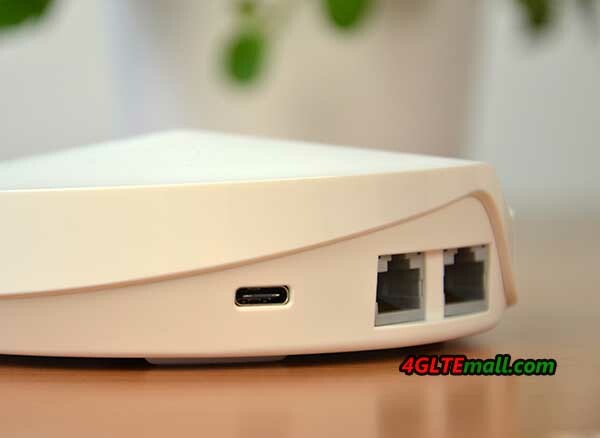 The price of TP-link Deco M5 is very attractive now comparing the price when it’s first available in the market. 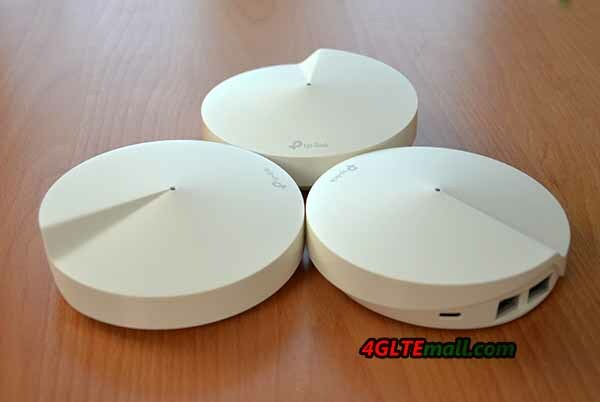 A third advantage of the TP-Link Deco M5 is its design. The router of the mesh points Deco M5 units are small and handy to place. The TP-Link Deco M5 is currently the best WiFi mesh system available. The price/quality ratio is very good, the app is convenient and extensive and the WiFi range is top notch. The test was carried out in a new house on 3 floors, where WiFi signals often pass through walls and ceilings without any difficulty. The fact that we were able to realize a perfect WiFi network at high speeds indicates that the quality is good! Making a home or office neighborhood (LAN) enables you to get to shared printers, projects and data, utilize one Web access supplier and even play LAN computer router games with others on your system. An Ethernet arrange is the most widely recognized answer for systems administration a few PCs together.